He was married twice and had nine children from both wives altogether. Sassoon Elias David was his first. His fifth child, also named Sassoon Elias (Sykes), lives in Unionville, Ontario. 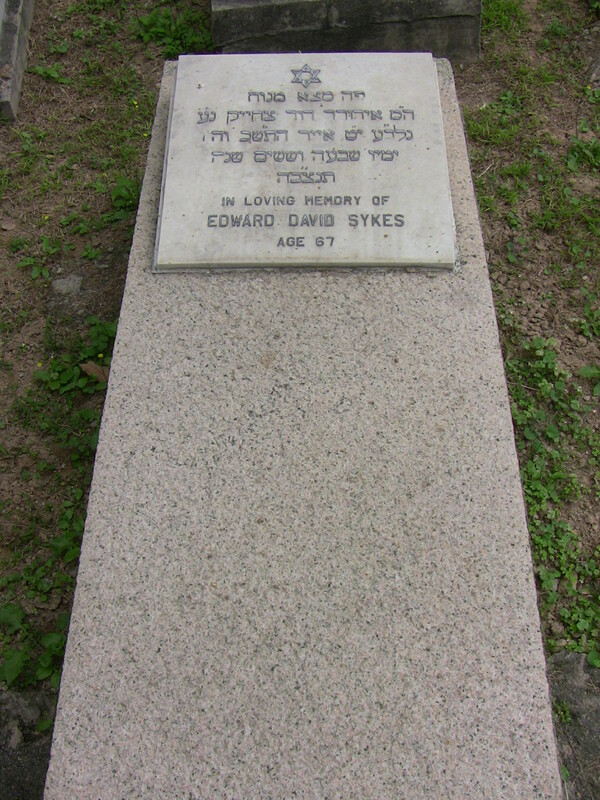 His parents are buried in the Jewish cemetery in Mumbai. Historical He was the head of the Eurasian Welfare Association at the time. He was arrested by the Kampetai on January 21, 1943 and sent to Stanley Civilian Internment Camp. On April 8, he was given a ten-year sentence but survived to give evidence at a post-war trial despite spending eight months in the prison hospital where rations were even lower than in the prison itself. Edward was my grandmother’s brother.